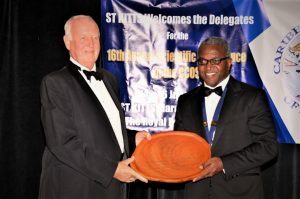 BASSETERRE, St. Kitts – At an awards banquet at the St. Kitts Marriott Resort held as part of the 16th Annual Scientific Conference of the Caribbean College of Surgeons (CCOS) June 15, two well-known surgeons were honored for their outstanding contribution to the field of medicine. 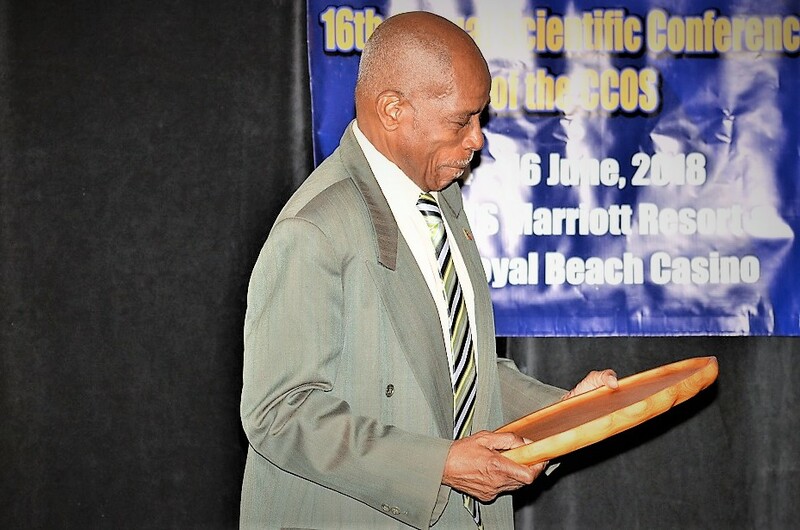 Each year the college chooses one or two people who have made a significant contribution to the field of medicine in the Caribbean, said the CCOS president, Dr. Cameron Wilkinson. Wilkinson shared that the second honouree also was also instrumental in his life. “The second was my surgeon as a kid, who perfectly mended my broken arm, later becoming my working colleague, now retired, and a friend, Dr. Desmond Fosbery,” he said. The president noted that the awards banquet fulfills one of the mandates of the college, which is to provide fellowship to its members while united in its efforts to improve the quality of surgical care for patients living in and visiting the Caribbean. Speaking at the ceremony, Sir Kennedy said that it was a pleasure working in the field of medicine, especially as he was surrounded by his brilliant and capable colleagues. 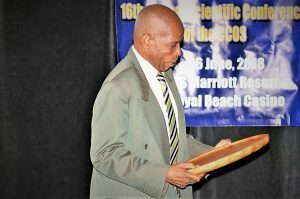 Sir Kennedy explained that most of his accolades have come because of politics, but the award from the CCOS is very different. Dr. Fosbery gave some sound advice to the young surgeons, and people desirous of venturing into the medical field. “Not everyone can rise to be head of service, department chief, but you as young surgeons have passion that’s why you’re here,” he said. “So, become excellent, be bold, and be passionate. Don’t be afraid to step off the path of your perceived goal…You may not become wealthy, but your life will be rich and your patients will thank you,” he said.